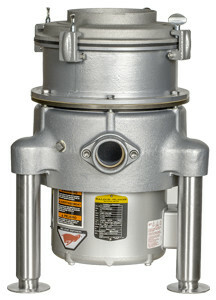 The Red Goat B-Series heavy-duty disposer is built for high volume waste areas in large kitchens that need to process up to 2000 pounds of food waste per hour. Clam bars, rib, steak and lobster houses turn to Red Goat’s B-Series disposer for their fast-paced, demanding foodservice environments. When you need high-performing, reliable food waste management, turn to Red Goat—where quality is our priority.